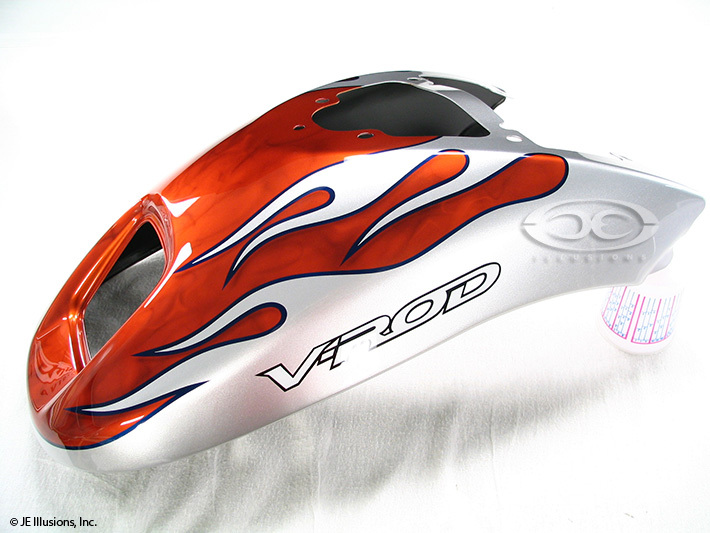 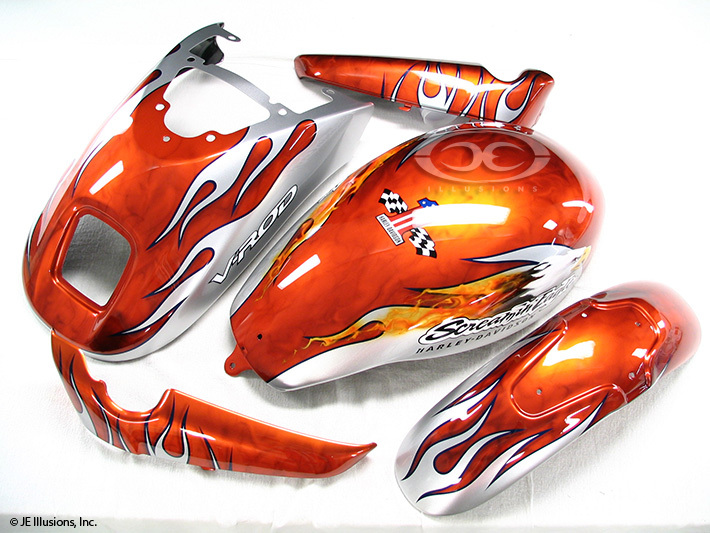 Bright Ultra-Orange airbrushed flames over a high gloss Silver with a bordered Blue flame design. 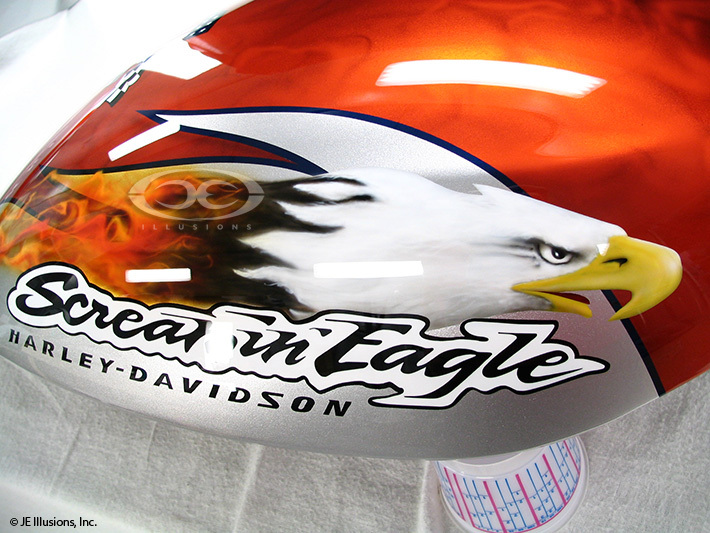 Beautiful detailed Bald Eagle bursting into flames adds even more to this paint job. 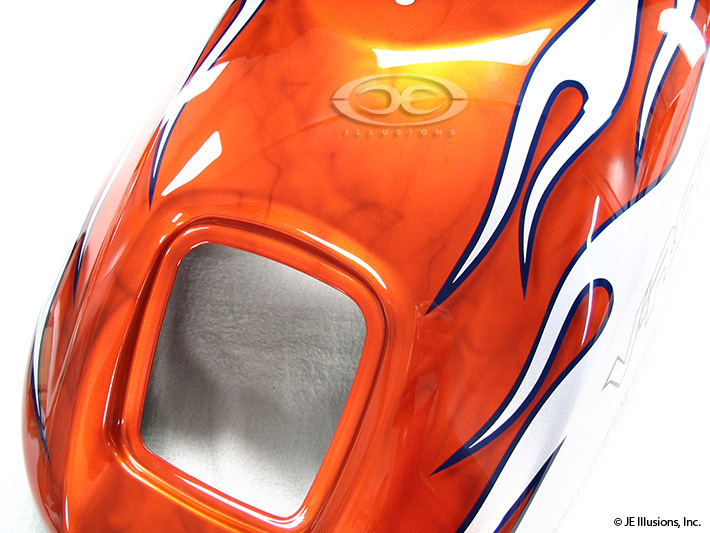 This will require several looks to really appreciate the detail.